Two people were seriously injured following a head-on car crash near the intersection of Highway 30 and Nicolai Road, Tuesday morning, Oct. 16. Emergency responders were called to the report of a two vehicle crash just before 9 a.m. Tuesday morning. 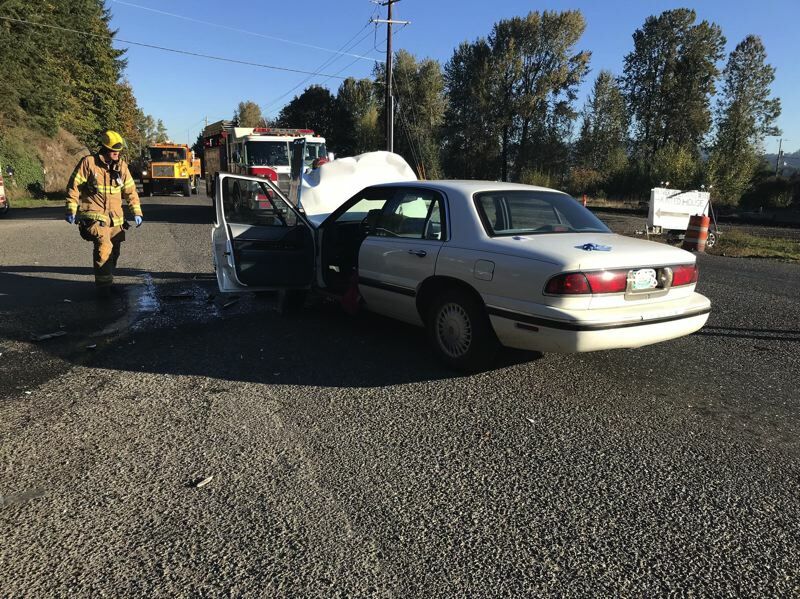 Preliminary information indicates one vehicle was traveling westbound on Highway 30 when it attempted to turn onto Nicolai Road, while another vehicle was traveling eastbound on Highway 30, Oregon State Police Sgt. Luke Schwartz explained. OSP is continuing to investigate the cause of the crash. A total of eight firefighters, one fire engine, two ambulances and two chief officers from Columbia River Fire and Rescue were on scene. Both drivers were extricated from their vehicles and transported by ground ambulance to the hospital with serious injuries. The highway was temporarily closed following the crash. One female and one male were injured. Neither vehicle had any passengers, Schwartz added. As of early Tuesday afternoon the names of the drivers had not been released.